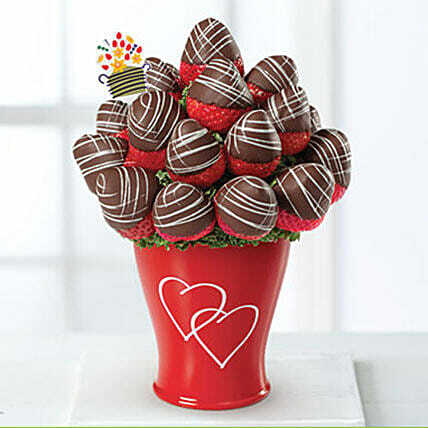 A mouthwatering fruit bouquet filled with hand-dipped, gourmet semi-sweet chocolate covered strawberries, artfully decorated with ribbons of white drizzle is completely a fairy tale story. It is all arranged in a keepsake, red and white container with our elegant open heart design. Just select it for any occasion without any doubt.